Just as our bodies run on a circadian rhythm during the day, our biological systems know when it’s time to buckle down for the winter. We eat heavier foods and exercise less often to stay comfortable and warm. These instincts helped us survive thousands of years ago, but today, we don’t need to hide in caves to survive the winter months. In fact, our bodies are even more well-suited to physical activity in winter than they are in summer. The cold helps us regulate our internal temperatures, allowing us to exercise longer and burn more calories. It’s tempting to bundle up next to the fire as the snow falls, but winter is the perfect time to pick up an exercise habit. According to Women’s Running, the average person gains at least a pound between Thanksgiving dinner and New Year’s. Many of us gain more than that. Fortunately, exercise in winter can prevent this holiday bloat. Even a modest amount of exercise a few times a week can increase metabolic rates, training our bodies to burn calories faster while at rest. That boosts our immune systems as well, helping our bodies fight winter diseases, like the flu. Exercise alone can’t protect us from illnesses, but it can contribute to one of our strongest defense mechanisms: sleep. Physical activity increases both the amount and quality of sleep we get each night. The more productive we are during the day, the more beneficial sleep becomes, restoring our bodies while keeping ailments at bay. Beyond these physical benefits, more exercise can also help stave off many of the mental issues we suffer during the winter. Anxiety and depression increase when the sun becomes scarce, but this phenomenon (called SAD, or seasonal affective disorder) can be overcome through exercise. With just 30 minutes of exercise a day, along with 20 minutes of sunlight, people can reduce or eliminate the winter blues. 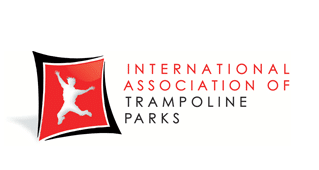 Trampoline parks provide the perfect excuse to get some exercise during the winter. Kids can jump for hours without getting tired, so when cold temperatures limit the appeal of the trampoline in the backyard, why not visit an indoor trampoline park? In just 10 minutes on a trampoline, you can burn as many calories and achieve the same cardiovascular benefits as you would on a 33-minute run. The kids have a blast, the adults get a workout, and everyone feels a little less stir-crazy. What’s not to love? If you don’t feel like making a trip to the park, buy an individual rebounder from a fitness store for a fun, quick workout at home. Outdoor yoga is fun, but it’s hard to say “namaste” when your teeth won’t stop chattering in the cold. Thankfully, most yoga studios run their operations indoors, helping yoga practitioners stay strong, flexible, and centered, no matter the weather. Yoga offers benefits that regular strength training does not. Flexibility becomes more important with every year we age and helps alleviate joint pains and increase circulation. For older people, that added flexibility also helps prevent falls. Not ready to join a group? Grab a yoga mat from a local store and head to YouTube for thousands of free instructional yoga videos. Try to visit a studio if you can, though — I find that I work twice as hard when I’m away from all of home’s distractions. Not all team sports are relegated to the outdoors. Many gyms offer indoor basketball, volleyball, and soccer for adults. Team sports are more social than individual workouts, which helps limit the isolation we often feel during cold months. They also tend to be more fun than solo workouts, especially for competitive people. Enjoyable exercise makes it easy to get that extra 10 minutes that can make the difference between a good workout and a great one. Find a local rec center or gym and ask about times for pickup games. If you prefer one sport over the others, consider joining a league. Beyond leagues’ scheduled practices and games, team members often want to play outside scheduled meetups as well. We love to worry about swimsuit season, but winter is the perfect opportunity to enjoy the benefits of fitness. Colder temperatures make it easier to lose weight, sleep through the night, and exercise for longer periods of time. When everyone else is stuck at home with the flu, active people and their workout-fueled immune systems can keep on going. If you want to have more energy, sleep longer, and stay healthy, don’t let winter turn you into a couch potato. Try these fitness tips to keep moving — no matter what Mother Nature does.